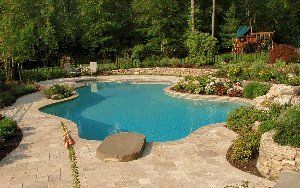 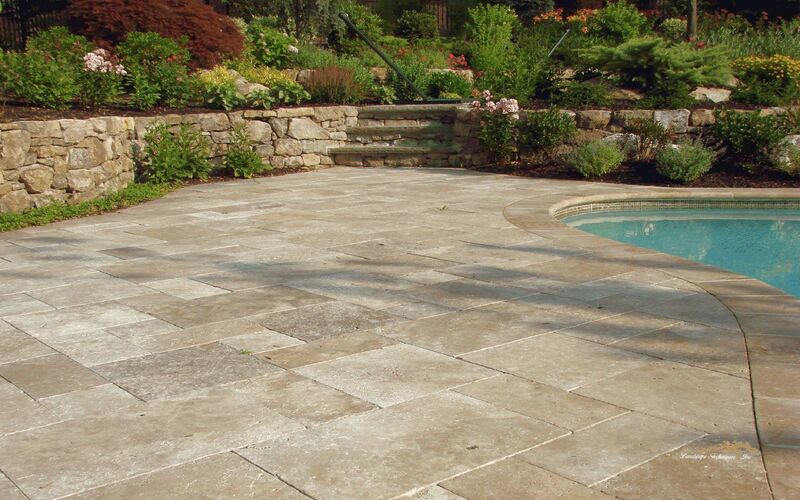 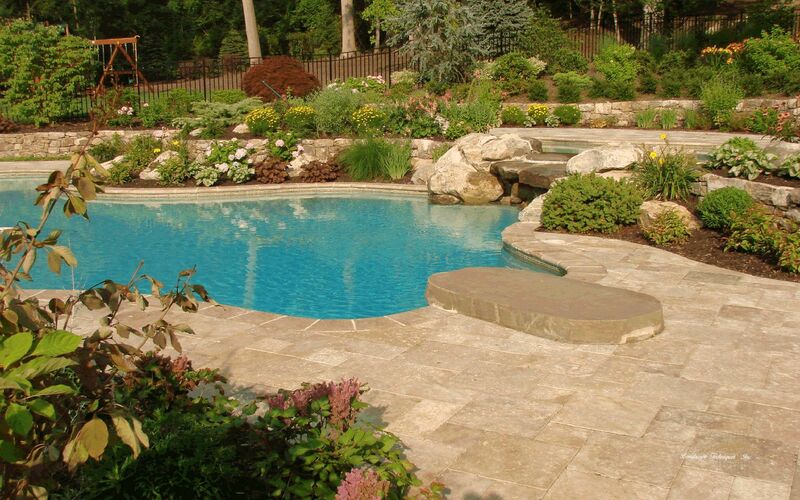 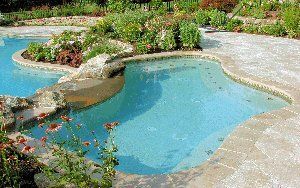 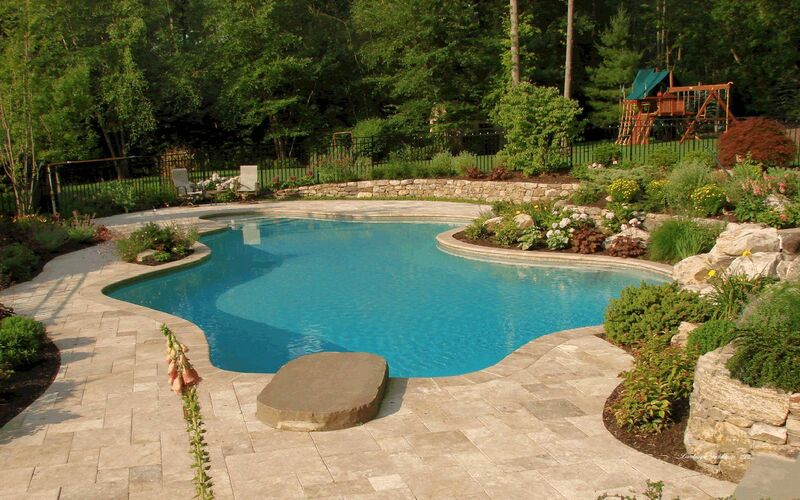 Beautiful soft hues of the beige-brown travertine patio and bull nosed coping provide ample and comfortable poolside lounging. 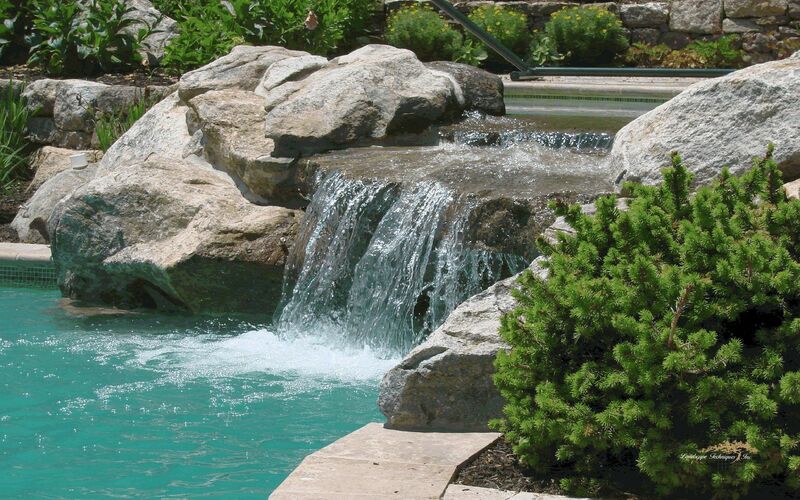 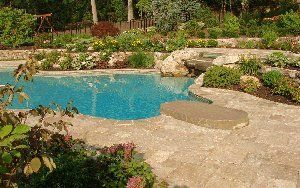 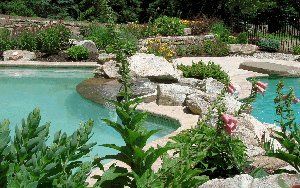 Dry laid Indian Hill wall stone is utilized to provide an attractive material to create all grade changes. As always, a lush assortment of plant material of varying colors and textures are the unifying elements.